Some delightful yet simple dishes from a Malay food stall in SS2. 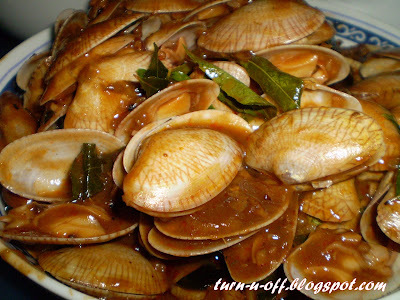 Kam heong lala (clams). Slightly spicy. 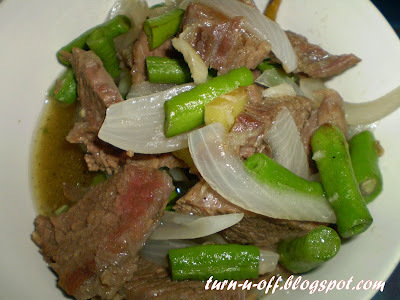 Daging masak halia (Beef cooked with ginger). 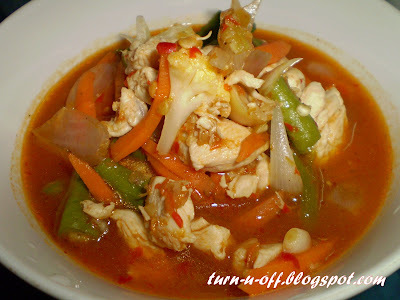 Ayam masak paprik (chicken cooked in a spicy chili paste). Quite spicy. 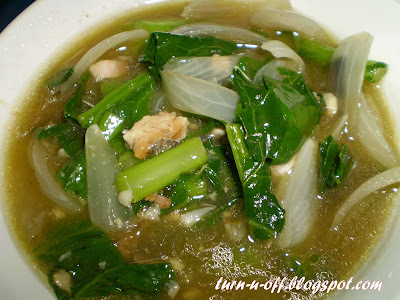 Kailan ikan masin (stir fry vegetable with salted fish). 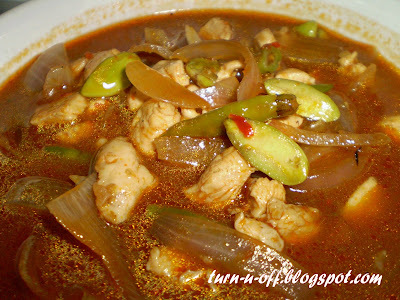 Ayam masak petai (chicken and stink beans cooked with chili sauce). Very, very spicy..
By the time I finished the food (yummy!!! ), the table was full of tissue. Tell me I am not the only one! LOL! You are definitely not the only one! Eating food with chili just has more oomph and I definitely don't mind the runny nose and sweat after that.. :P Okay, now I'm hungry. Wanna eat now! Bye! And I can't really take food that is too spicy la ... sure cry one ... LOL! LOL... nice food over there... SS2 huh, why I didn't know that? I personally, won't choose spicy food but if it's delicious, why not. Petai is my favorite too!!! *wink* Thanks for dropping by!